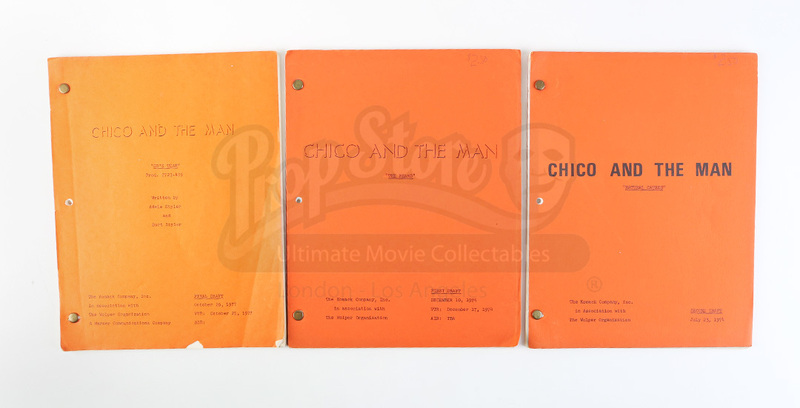 A set of three episode scripts from the hit 1974 sitcom Chico and the Man. In the series, a grumpy man hires a young Latino man to work in his East LA auto shop. The set consists of scripts from the first and fourth seasons. The first script's episode is entitled "Natural Causes" and is noted as the second draft dated July 23, 1974. 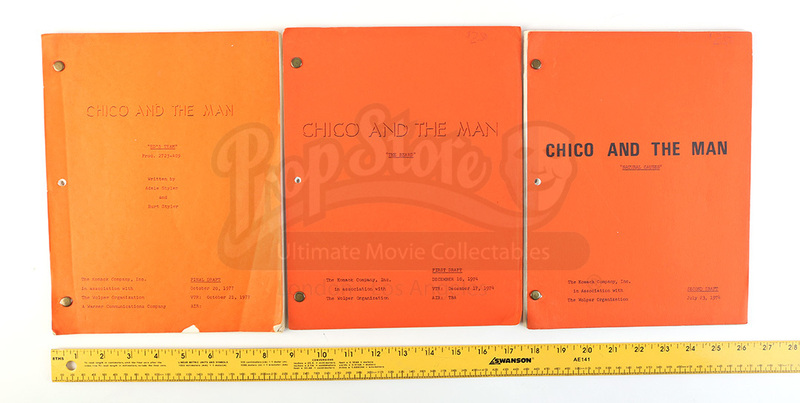 The second script is entitled "The Beard" and is a first draft dated December 10, 1974. 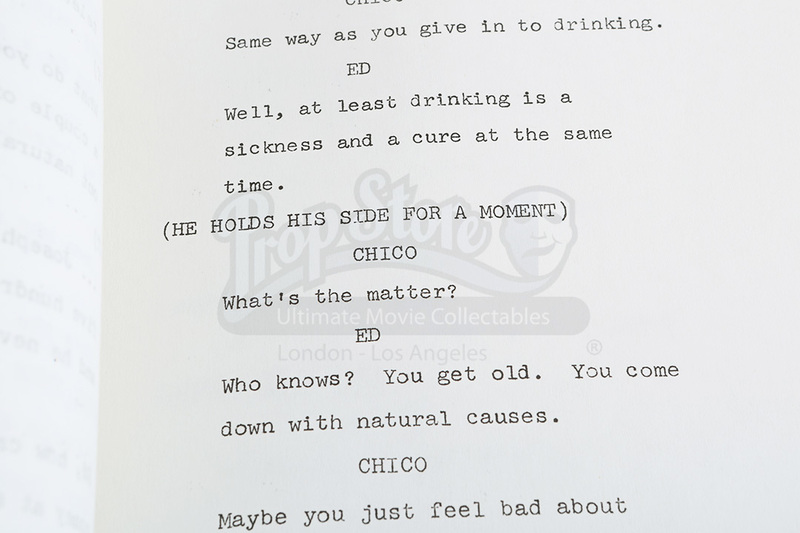 The third script episode is entitled "Ed's Team" and noted as the final draft dated October 21, 1977. Each script consists of 40 or more pages and feature cast lists and rehearsal and tap schedules. Each script is bound with two brass brads and show minor signs of wear from age, remaining in great overall condition.